University of Sargodha UOS admission 2019 are offered in various disciplines including BA, MA, B.ed, Bsc, Msc, BS(Engr), B.com, BBA, MBA, BCS, MBBS, Pharmacy up to Ph.D. Sargodha university is now considered as a valuable and admirable academic institute of Pakistan for quality education with experienced and highly professional teachers. It was established in 2002 and up to this time crossing the student’s strength up to twenty-two thousand. 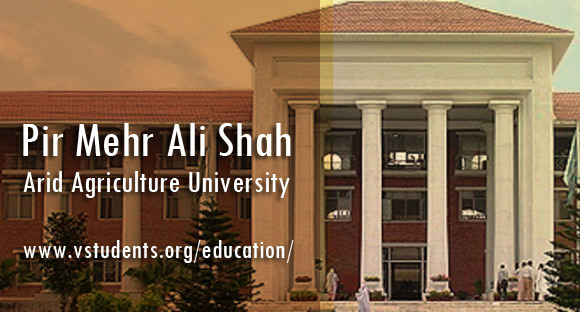 There are two public sub-campuses and five private sub-campuses of the University of Sargodha. 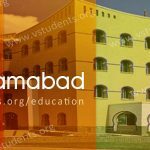 Below is the complete guide for UOS admission 2019 last date, fee structure, UOS results, admission form download, admission procedure, Check UOS Private BA BSc Admission and Private MA MSc Admission details, registration date, private exams results, eligibility criteria and requirements, merit list, entry test, scholarships and jobs in University of Sargodha main campus. UOS has officially announced that Admissions 2019 are open for BA, M.ed, MA, Engineering, Pharmacy, BS, MS, BCS, B.com, BBA, MBA, MCS, medical, Graduate, Postgraduate, MPhil and Ph.D. levels. Anyone can apply as per merit and UOS criteria for particular programs with respect to admission last date below. The University of Sargodha has extremely professional, hardworking faculty with most of our foreign qualified and experienced. Who better knows how to deliver knowledge and how to increase the educational structure in the country more professionally as well as academically. 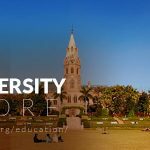 Find the detailed section of getting UOS admission 2019 last date, private admissions, UOS admission advertisement, fee structure, admission form, entry test date and with complete admission procedure that how to apply. UOS offers admission for two times in a year for some programs. University of Sargodha spring and fall admission 2019 for M.Com Part 1. Please find the admission last dates below. 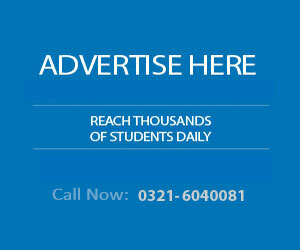 We will upload the latest admission advertisement as soon as the university will offer newspaper ads. 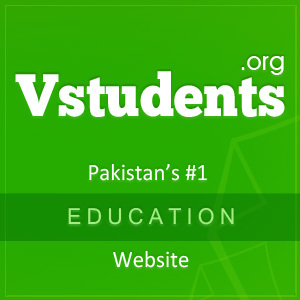 As Sargodha university offered many programs so, every program has a different fee structure. Two types of admissions are offered by Sargodha university, Regular and Self Support. Both have different fees structure 2019, every 4 Year program like BS regular fee is 15600/PKR and self-support fee is 29100/PKR. 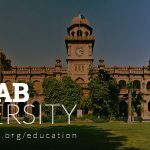 Fee regarding all admission can be seen in the prospectus that is available in university’s Habib Bank Limited and all the other branches of HBL for Rs. 500/-. UOS BBA, MBA, BCS, MCS, ICom, Bcom and engineering fee structure 2019 and all other programmes complete fee schedule is available Here. Please follow the link for more details and information about University of Sargodha fee structure 2019. Sargodha university offered admission for private students in many programs, they can get admission in FA, BA, MA English, B.ed, M.ed, B.com, Bsc, Msc, and many others. Private students can get admission form and submit the processing fee in the bank to apply. Before getting admission in UOS you need to fill the admission form 2019 which you can get from Sargodha university’s HBL branch or you can download online from here. 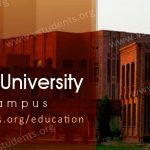 University offered admission for private students they can download UOS admission form for private and regular students they can download admission form from Here. Candidates can download challan form and any other admission form from Here. Before submitting any dues to the university by downloading Sargodha university admission form 2019, please contact to UOS admission department first for further details about offered course and admission guideline. 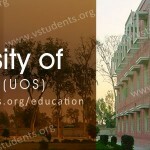 Please check this an admission guide also for UOS Sargodha from Here. 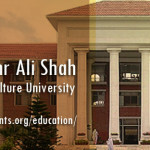 The Institute has opened admission in all departments including Law, Communication Studies, Education, Languages of English, Urdu, Persian, Arabic and Punjabi, Fine Arts, History, IR & Political, IT & Computer, Islamic studies, Commerce & Economics and Faculty of sciences. As Punjab University Admission and other institute offer. Department of Food Sciences offers MSC and Technology. Department of chemistry delivers course named Mphil Chemistry and in this course, students will learn Analytical & Inorganic Biochemistry, Organic & Physical Chemistry. You can also check out Fast Unviersity Islamabad , UOL Lahore and AIOU Admission details for admission in your respective disciplines. Urdu, Arabic and Persian and Agriculture, History, IR, Library science, Economics, Geology, Physics, Maths, Sociology, and Psychology offered by the University of Sargodha. The candidates must have passed MA/MSC/BS four years program or must clear 16 years of education with second division or 2.00 CGPA. GAT-General is compulsory for admission in University of Sargodha 2019. University is offering Doctorate programs in Agricultural subjects, Food, Political and Library science, Arabic, Islamic study, Persian, Urdu, Economics, and Science subjects Physics, etc. Mphil or equivalent degree with first division and GAT or GRE test qualified. 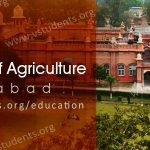 Must check out complete criteria and details for every offered program in University of Sargodha Admission Regulations. Sargodha University BA & MA Admission Requirements For getting admission in BA & MA in the University of Sargodha, the candidates must have to fulfill these requirements. For BA, the candidate must have passed twelve years of education i.e FA, F.Sc, A-Level or equivalent. For MA admissions, the candidate must have passed fourteen years of education i.e BA or equivalent. Sargodha university admission 2019 has some own rules, most of the undergraduate programs don’t need any entry test before getting admission in it. but some programs need it like BSSE or more. The entry test schedule is totally under the departments of UOS, you will be notified of the entry test date as you will submit admission form to the department. 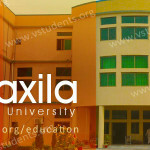 Address: University of Sargodha, University Road, Sargodha. Can we do MA private if yes then how? i live in vehari. Sir guide me we are sending admission forms with fee in Ma Urdu but roll no. Slip is not came on date. Please tell us what we have to do because exams are going to start soon. Please do contact at UOS official contact number(s) to the relevant department. can i do private bcs from uos? When will start the admission of undergraduates programme? can i do private M.sc in statistics from UOS From rawalpindi. Kindly send me details of admissions of BA & as well as form. I’ll really thankful to you. I want to do M.A English in (Languages) private , kindly tell me when admissions will open for private candidates ? Can I do mPhil private from UOS? Please tell m about admissions. Can i do mphil private from uos? Sir,I passed B.Sc from Peshawar University.Can I do M.A (History)private from Sargodha University.